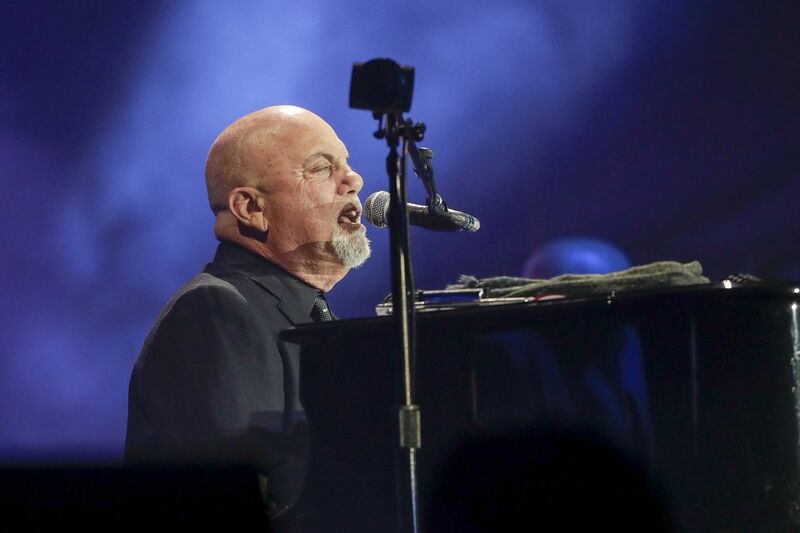 Billy Joel performing at Citizens Bank Park in South Philadelphia on Saturday. Billy Joel rang in his 100th performance at Madison Square Garden on Wednesday night with a little help from Bruce Springsteen, who joined Joel onstage for two songs to celebrate the milestone. Joel introduced Springsteen about 15 songs into his set, according to Setlist.fm. Joel teased the Boss' appearance by telling the audience that he had a special guest coming who had won a Tony, Oscar, and Grammy. "Congratulations, Billy, on your 100th show," Springsteen said as he joined Joel on stage. "Ready, Billy?" The pair then launched into a rendition of Springsteen's "Tenth Avenue Freeze Out." Joel finished his set up with favorites including "Only the Good Die Young," "Scenes From an Italian Restaurant," and "Piano Man." A four-song encore followed, ending with "You May Be Right" from 1980's Glass Houses. A New York native, Joel holds the record for number of performances at the city's Madison Square Garden. His current monthly residency began in 2014, and is scheduled to run at least through December. Previous special guests have included Miley Cyrus, Paul Simon, and Lou Gramm and Mick Jones of Foreigner. Joel first performed at the venue in December 1978. Before Joel's performance on Wednesday, New York Gov. Andrew Cuomo declared July 18, 2018, as "Billy Joel Day." Netflix, meanwhile, announced that it would stream Springsteen's Broadway show, Springsteen on Broadway, starting Dec. 15, the Boss' final day at Walter Kerr Theatre.